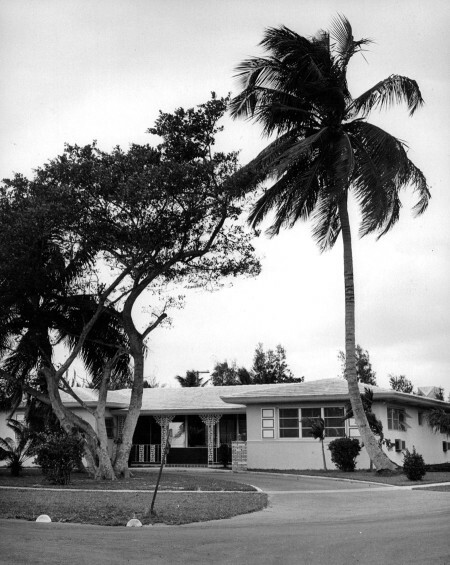 Hialeah was named by a Seminole Indian named Willie Willie, when pioneer developer James Bright asked him to describe the property. He called it Hi-ale-ah, which means pretty prairie or high prairie. Bright, a cattleman from Missouri, came to Miami in 1909 and bought 640 acres of submerged land northwest of the city. 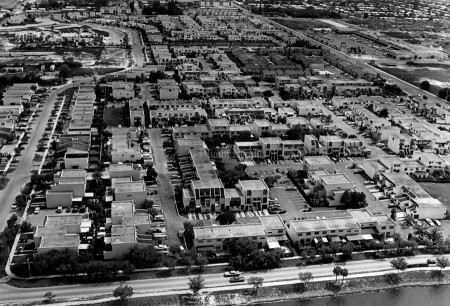 Within a few months, he dug the Miami Canal and drained his land. 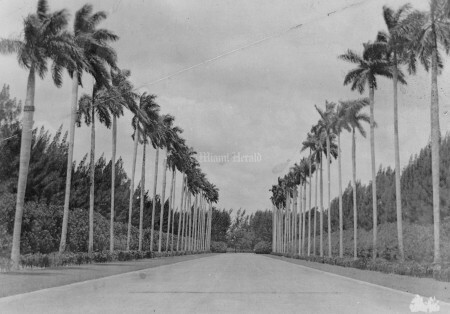 He joined with New York developer and aviator Glenn Curtiss to incorporate Hialeah in 1921. Within 10 days, their company sold $1 million in land. 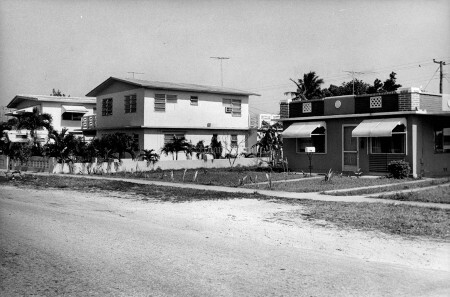 Bright built a house and cattle ranch at what is now the corner of Hialeah Drive and East Second Avenue. 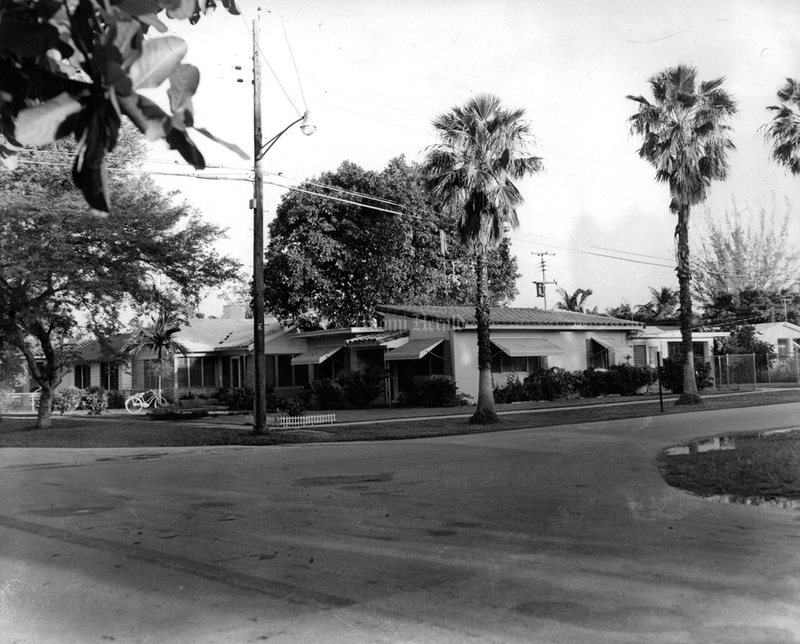 Curtiss built an airfield at what eventually became the Deer Park residential section. 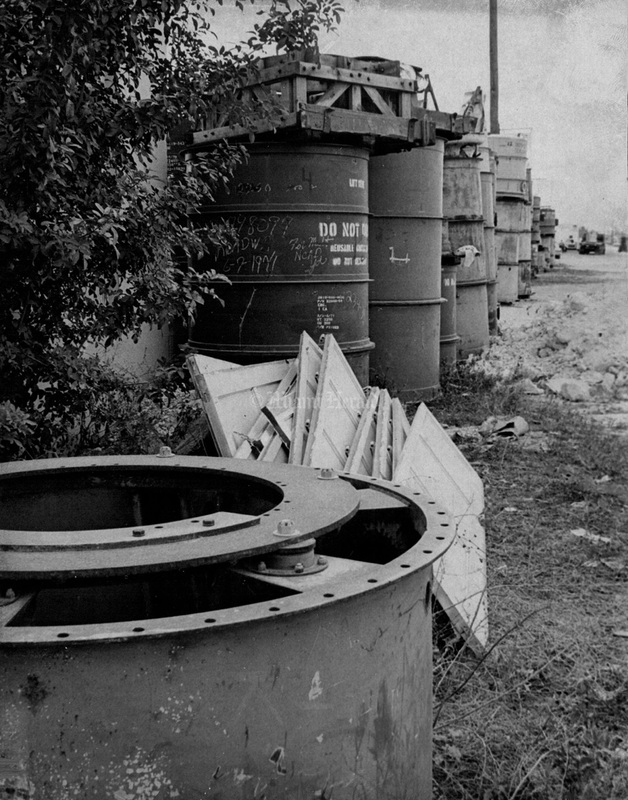 G.R. 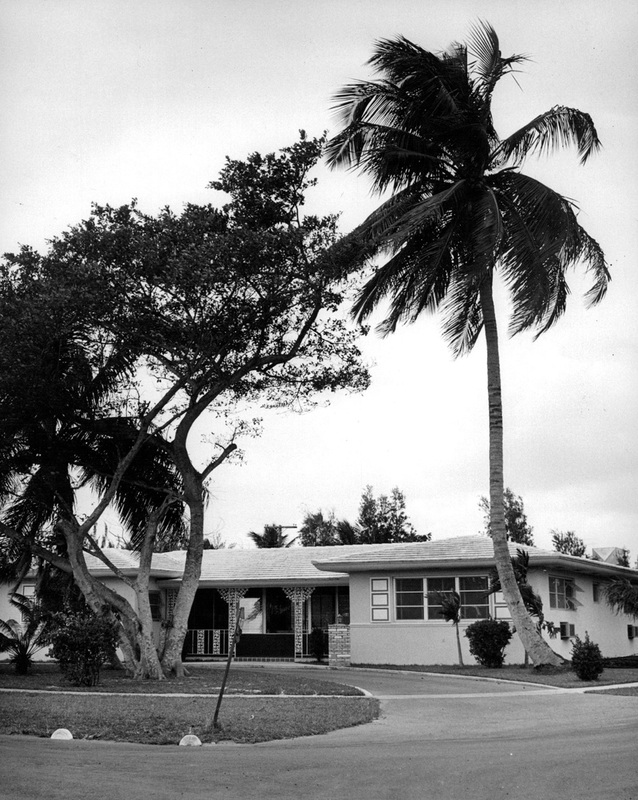 Milliard, Hialeah’s first resident, built his home at Okeechobee Road and Hialeah Drive. 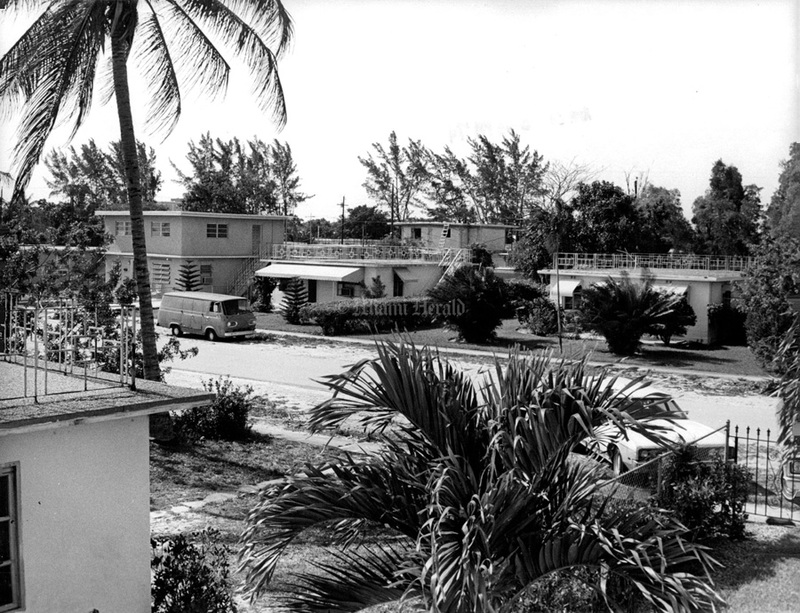 From his house, he operated the town’s first post office, first real estate office, first general store, first car repair shop and the first headquarters for the bus line to Miami. 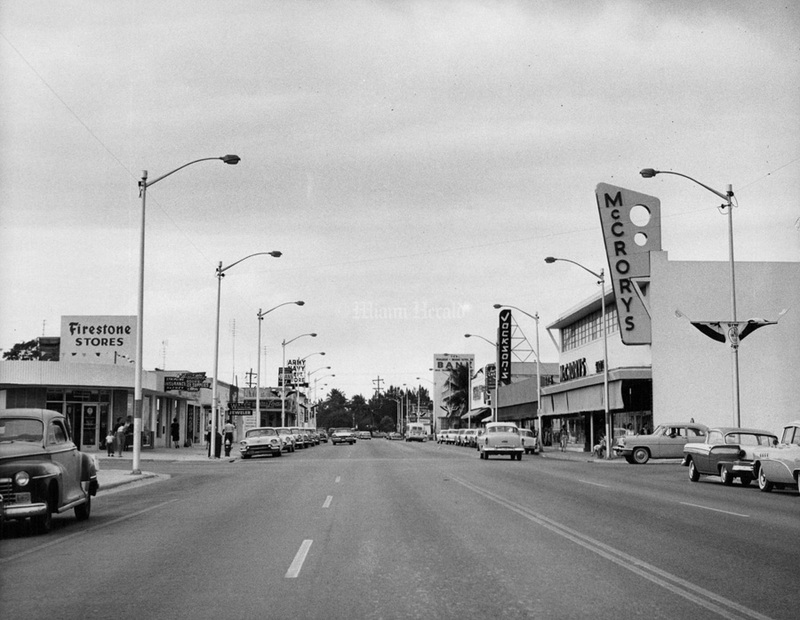 His daughter was born the year the town was incorporated. He named her Leah. Within two years, Hialeah had 41 families, a dog track and a race course under construction. 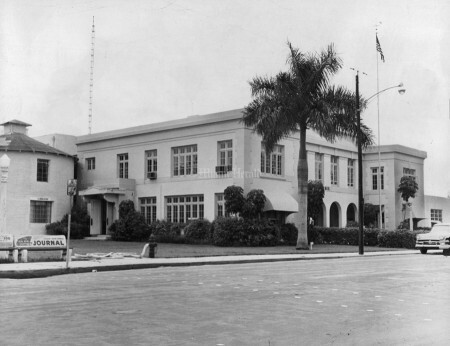 As Miami and Miami Beach blossomed in the 1920s into “America’s winter playground,” Hialeah grew up as the working man’s town.The Hialeah Race Track was first laid out as a dog track by Glenn H. Curtiss, a pioneer aviator and one of the first settlers in the area. It was later converted to a horse track by James Bright, the first white settler of record in Hialeah. 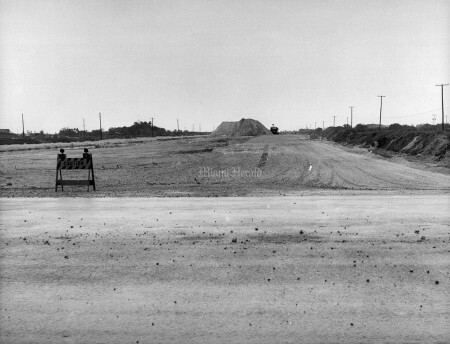 Many of the city’s residents worked at the track. 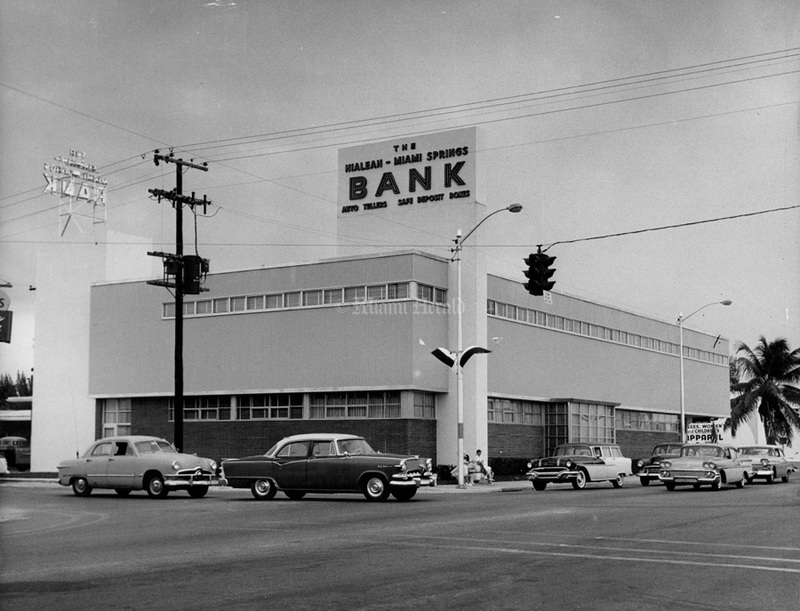 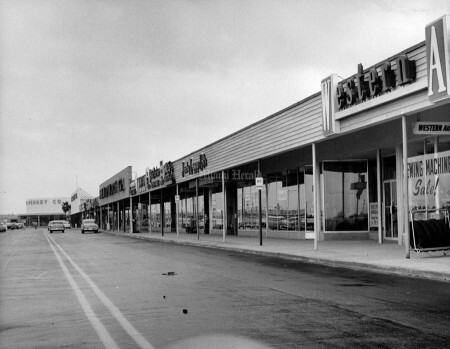 Hialeah boomed during its first year of incorporation. Workers flocked to the area, buying inexpensive parcels of land and building “tent homes,” wood frame houses with canvas roofs. Then, in September 1926, a hurricane struck, destroying much of the city.But the city survived the hurricane and the Depression and finally bounced back during World War II. It’s now the sixth- largest city in Florida with a population of more than 234000. 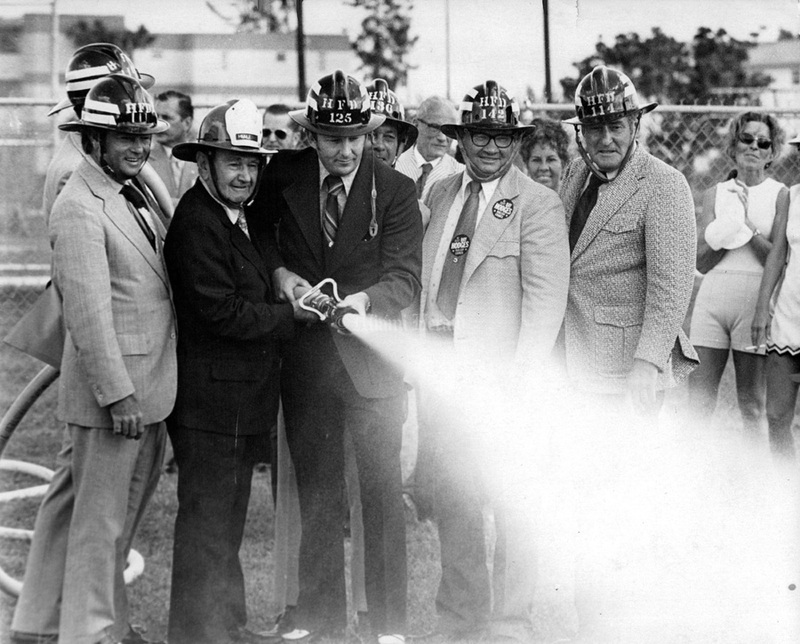 10/23/1973, Albert Coya/Miami Herald: Hialeah Fire Station ground breaking at 1195 W. 74 St. With him are Guy Brickman, Charles A. Whiteacre, Jack M. Cherry, William Ray Hodges, John B. Weaver and Victor Wilde. 9/16/1975, Marlin Levinson/Miami Herald Staff: Named most elderly of Senior Citizens in attendance of Hialeah Pioneer Luncheon is 90 year old Mac Thomas, who has lived for 52 years in Hialeah - 2 years before it was incorporated as a city. 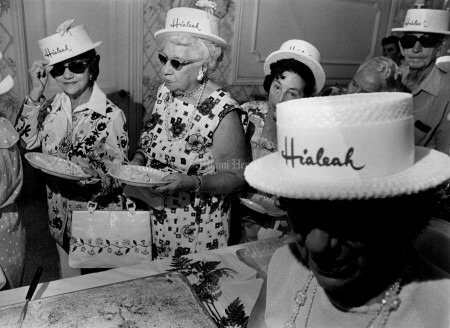 The Hialeah hat was given to her as a "crowning" touch. 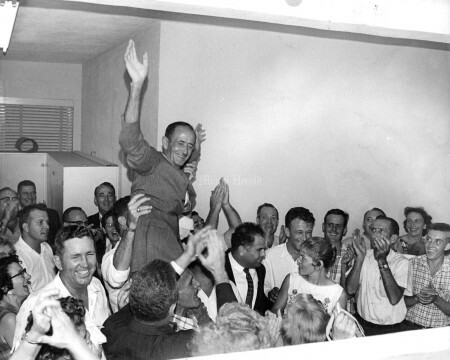 10/9/1960: They think for themselves in Hialeah..... Ike won by small edge in 1956 election. 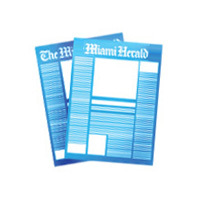 Hialeah, normally a workingman's Democratic bulwark in national politics, may see another nip and tuck struggle between the two parties in the November 8 election. 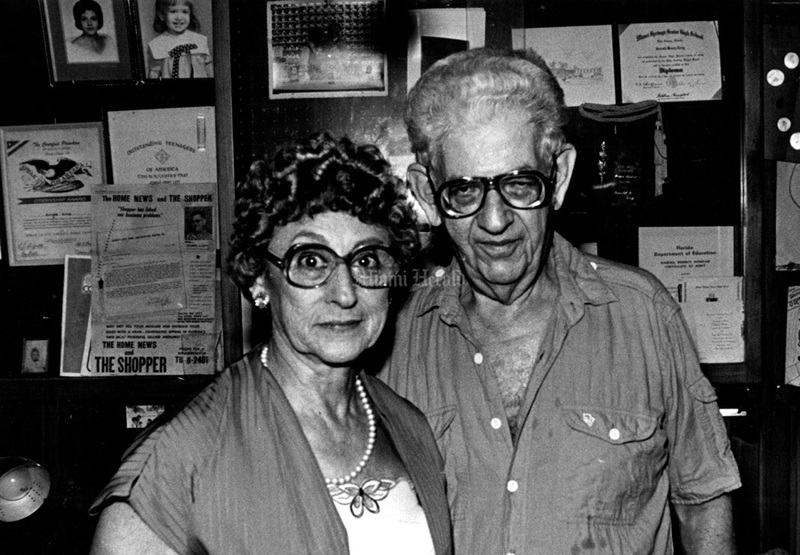 7/20/1980, John Drummings/Miami Herald: Vivian and Gilbert Levy from Hialeah. 8/27/1982, Alan Freund/Miami Herald: Bike path on Okeechobee Rd. 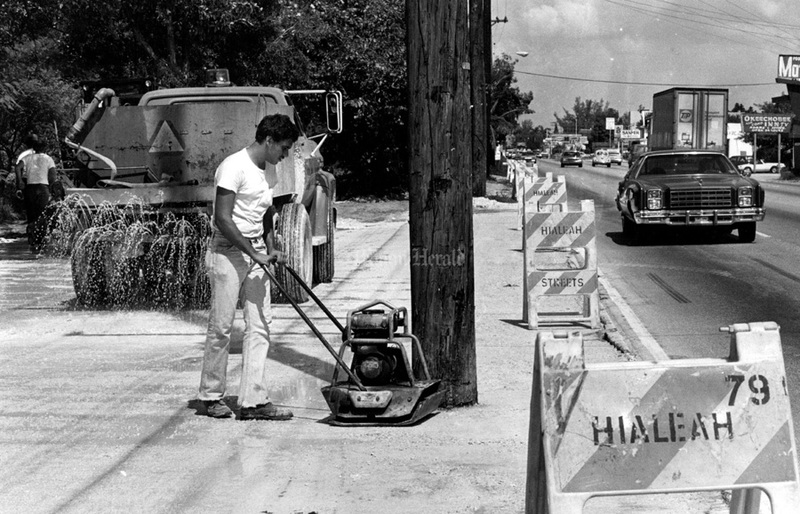 34 Ave. - 38 Ave. George Martias works with Hialeah roads department. 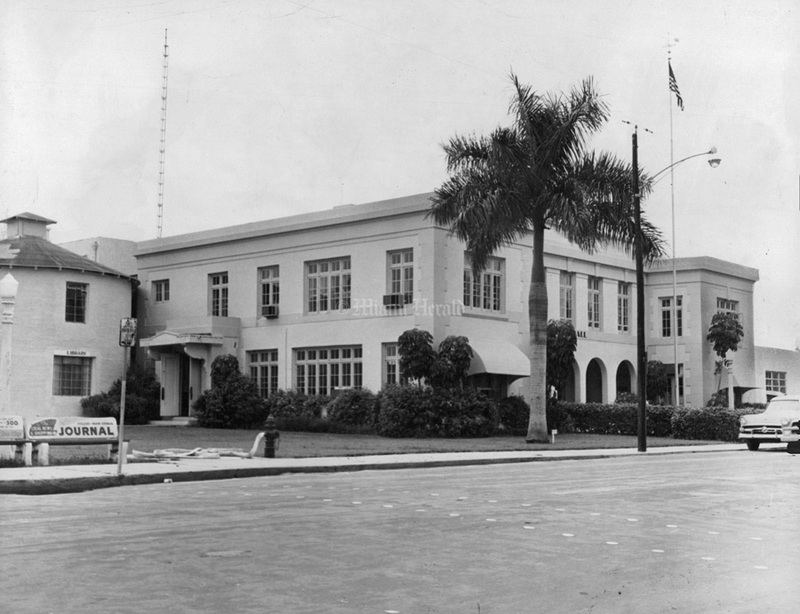 Undated: New City Hall at Hialeah. 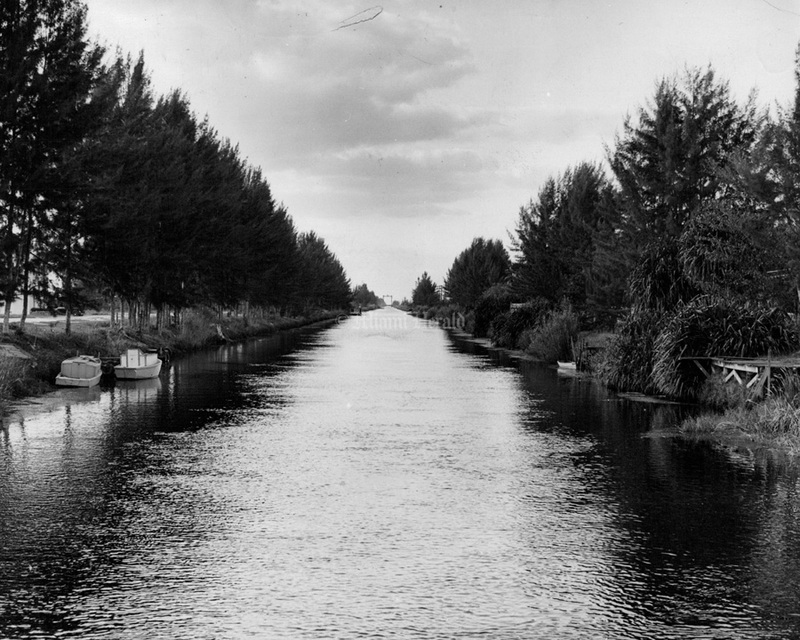 4/16/1939: Hialeah Canal was dug for progress but it is now threatening to put salt in the city wells. 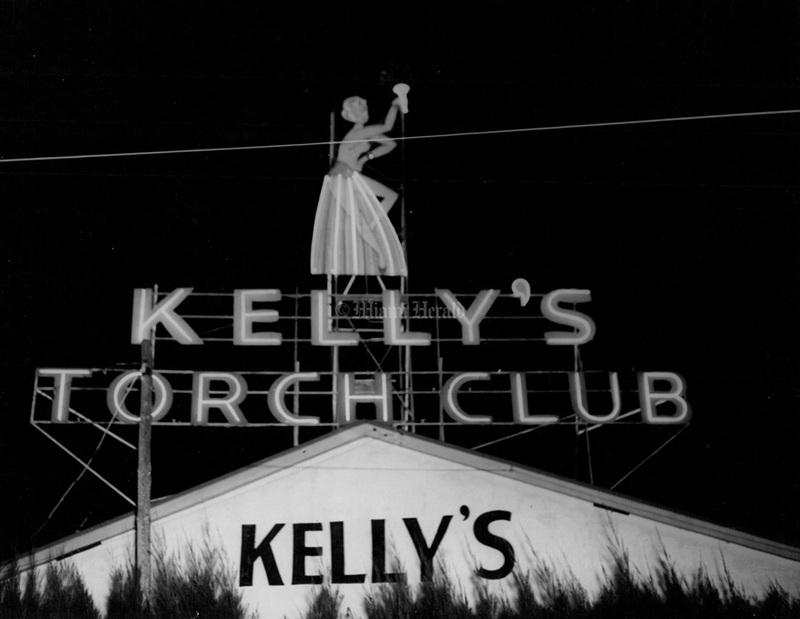 10/8/1939: Kelly's Torch Club in Hialeah. 7/22/1980, John Drimmings/Miami Herald: Don Lowden and Roy Williams in front of the Little Seminole Bar in Hialeah. 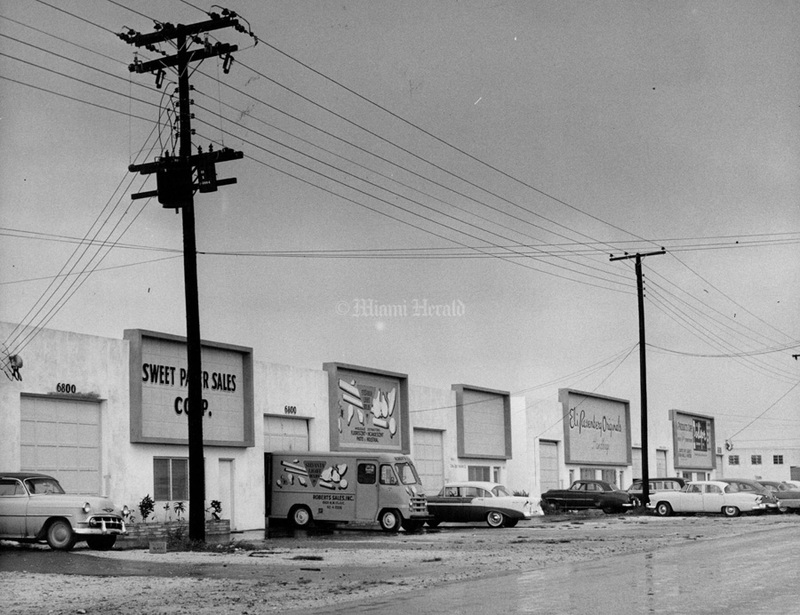 11/17/1957, Bill Kuenzel/Miami Herald: Hialeah. 8/23/1960, Mike Freeman/Miami Herald: Hialeah election. 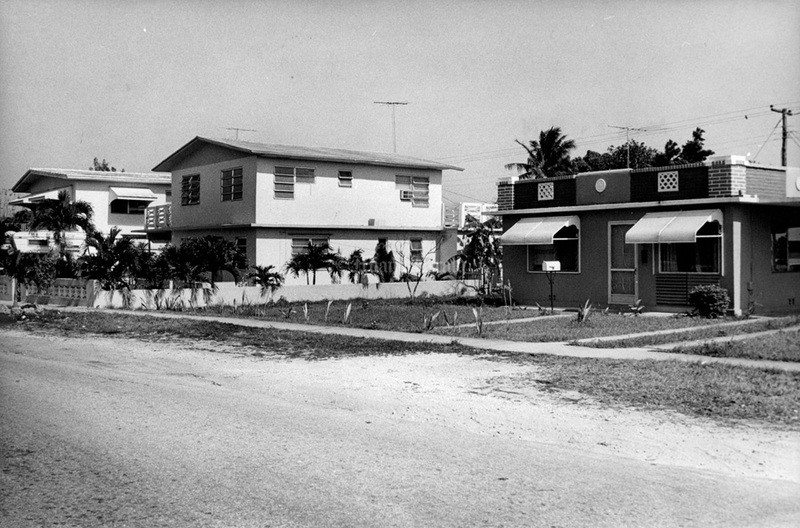 4/28/1974, George Kochaniec/Miami Herald: Homes on E 20 St between 8 and 9th Ave in Hialeah - rear home is on E 21 ST.
1957: The Hialeah-Miami Springs Bank. 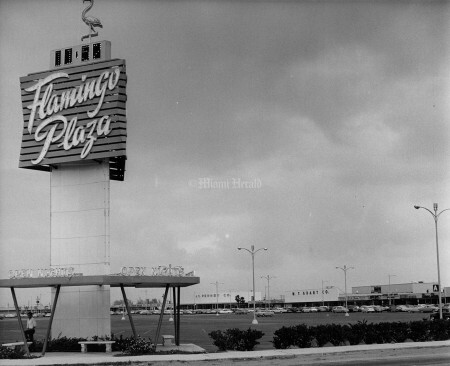 Undated: Flamingo Shopping Plaza, Hialeah. 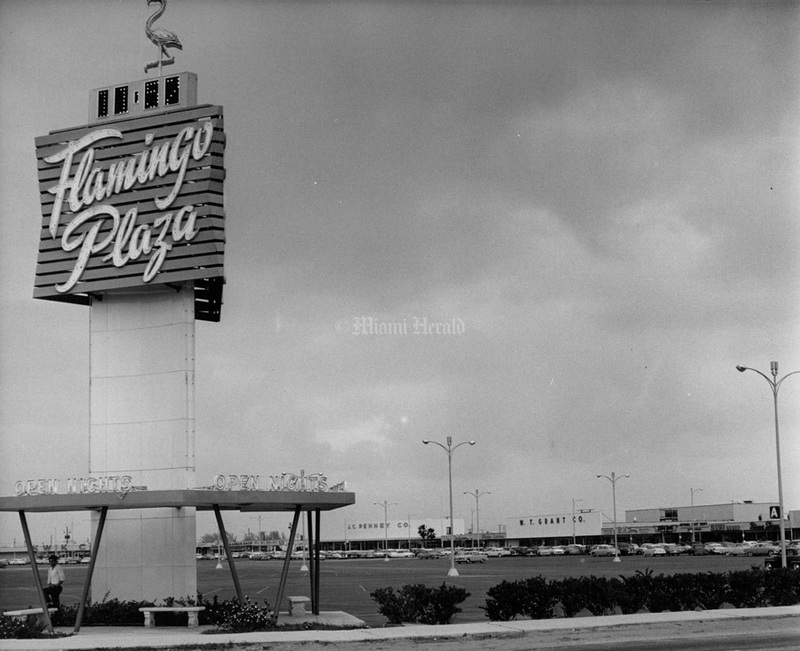 11/12/1957, Bob East/Miami Herald: Flamingo Shopping Plaza, Hialeah. 11/12/1957, Bob East/Miami Herald: 304 Circle Dr., Hialeah. 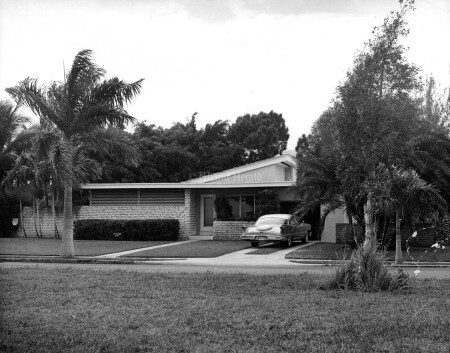 11/12/1957, Bob East/Miami Herald: 250 Euciliptus Dr. Hialeah. 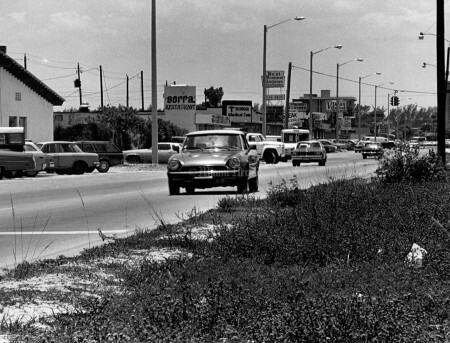 Undated, Bob East/Miami Herald: W 49 St, Hialeah looking east across Palmetto expressway. 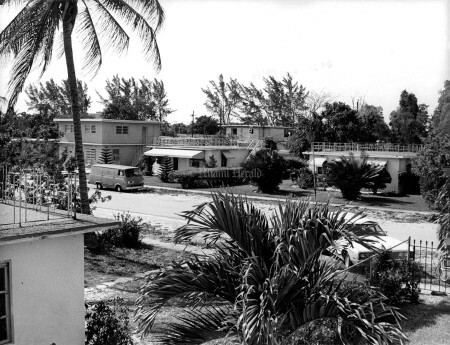 4/14/1982, Alan Freund/Miami Herald: Suntan Village area of Hialeah. 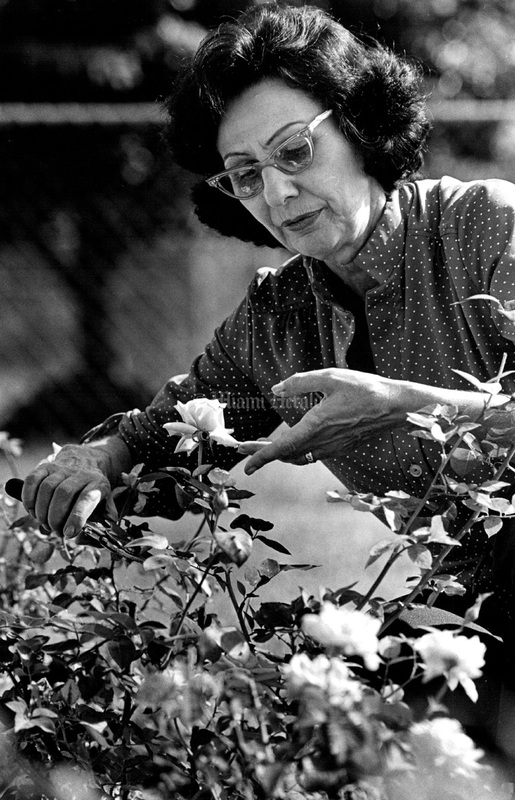 Ruth Pearson and her roses in front of her home. 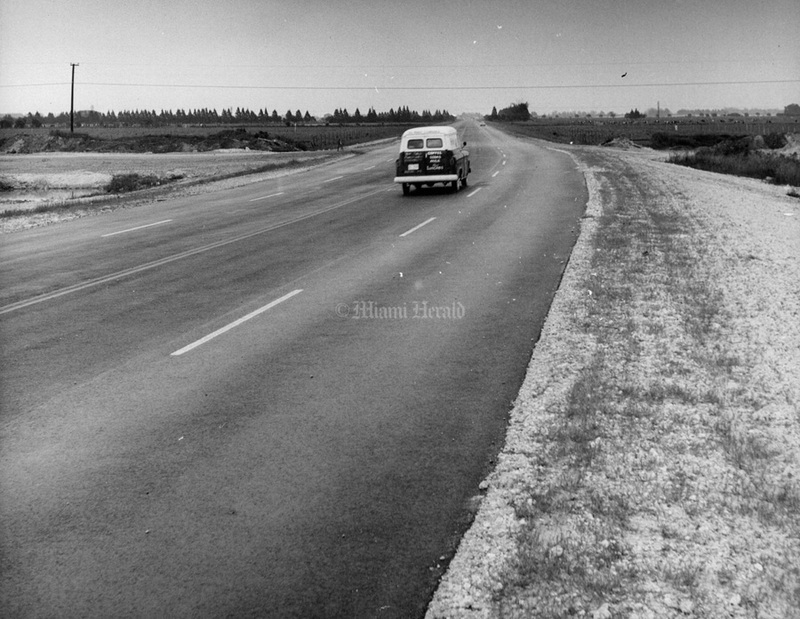 11/12/1957, Bob East/Miami Herald: Palmetto expressway looking north from W 49 St outside Hialeah. 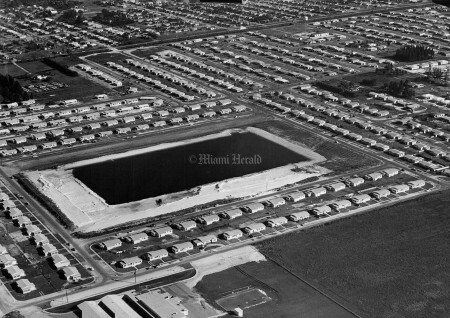 4/28/1974, George Kochaniec/Miami Herald: Homes located at E 7 Ave and E 20th in Hialeah - S.E. corner. 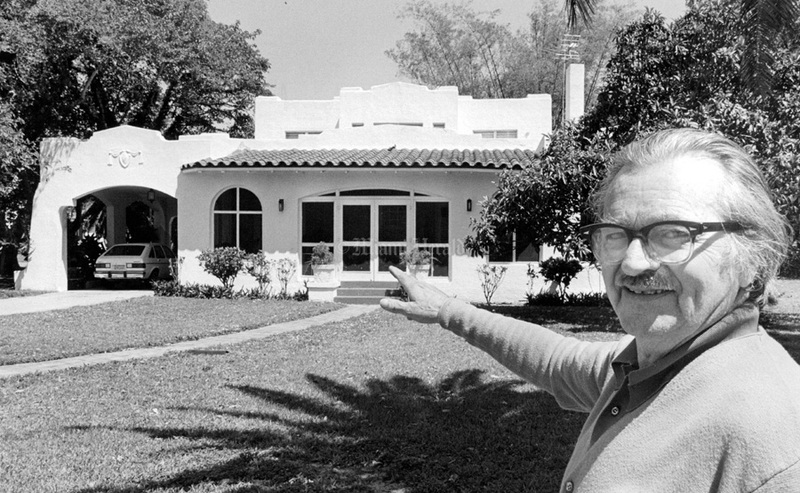 3/20/1981, Alan Freund/Miami Herald: Kenneth Banyard, 45, in Olive Drive loves his french doors. 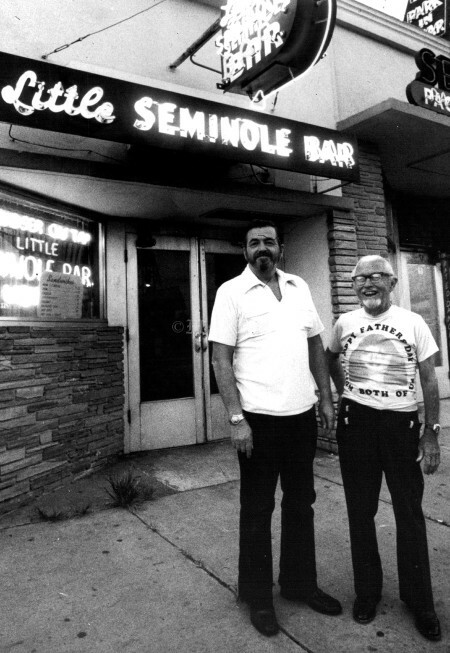 9/17/1975, John Pineda/Miami Herald: Hialeah 50th Anniversary. 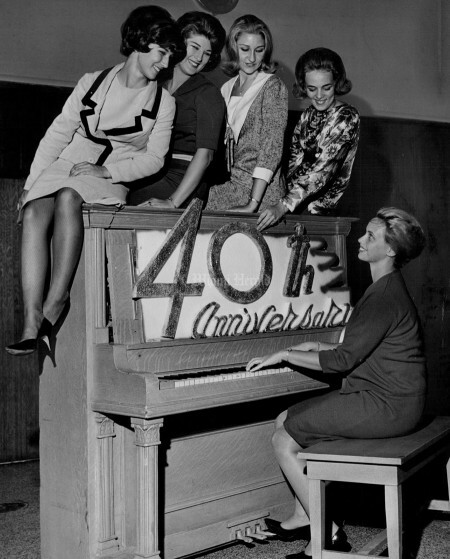 Some of Hialeahs Oldies parade in 50th anniversary. 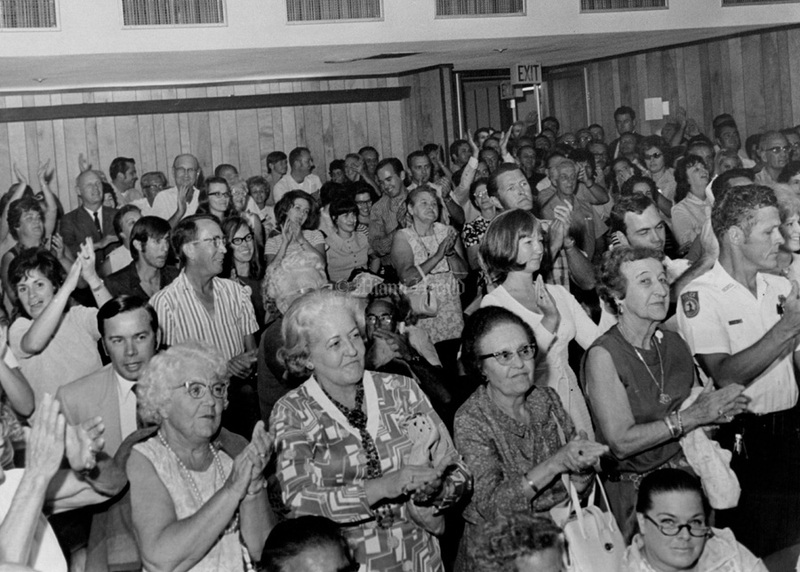 9/16/1975, Marlin Levinson/Miami Herald: Hialeah Pioneer Luncheon. 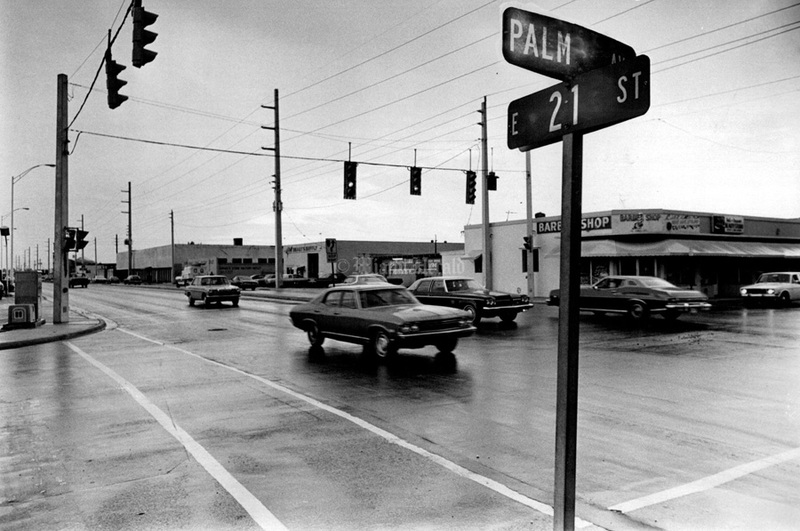 9/10/1975, Marlin Levinson/Miami Herald: Palm Ave and 21 St.
9/10/1975, Marlin Levinson/Miami Herald: Palm Ave and 17 St.
2/22/1976, Mike O'Bryon/Miami Herald: "The Loser" at Hialeah Babcock Park. 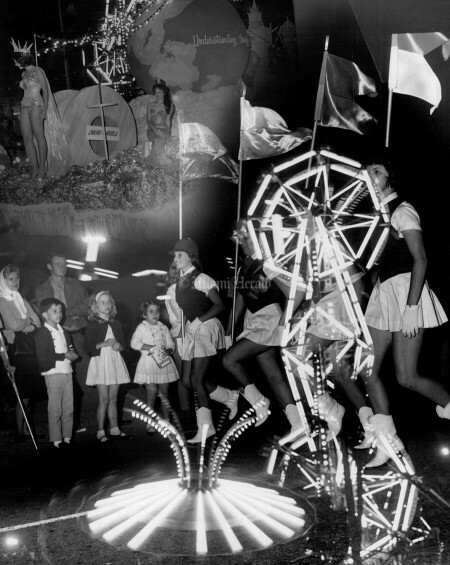 2/12/1965, John Walther/MIami Herald: Hialeah parade was led off by the Hialeah High School Thoroughbreds. 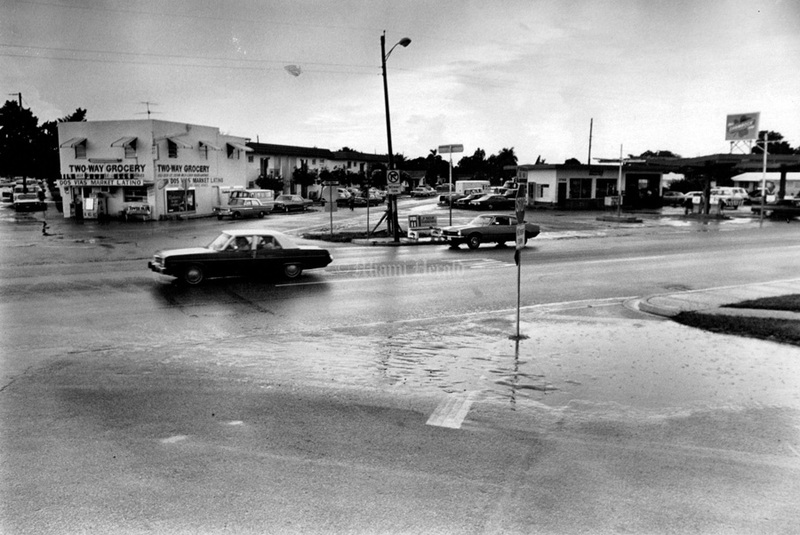 11/12/1957, Bob East/Miami Herald: Hialeah Ave at E 2nd Ave looking west. 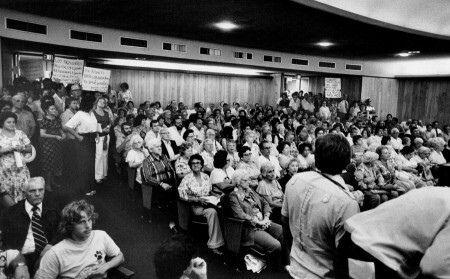 4/27/1971, Bill Sanders/Miami Herald: Hialeah Council meeting. 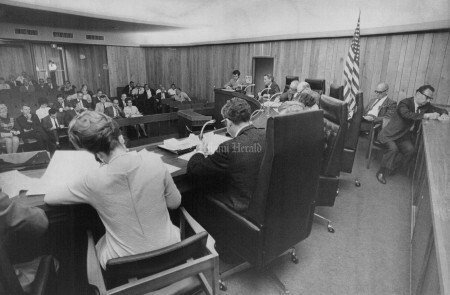 9/2/1955, Steve Weber/Miami Herald: Hialeah City Hall. 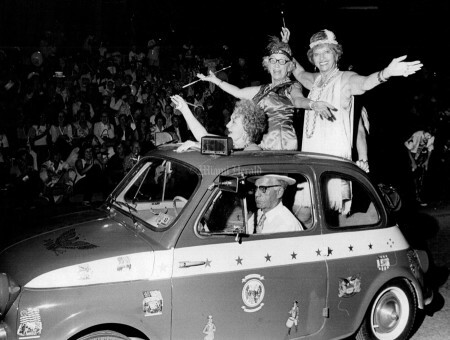 2/9/1965, Mike Freeman/Miami Herald: Beauty Contestants Rehearsing the Anniversary Waltz...Hialeah, which is celebrating its 40th birthday, is all agog over the finalists in its annual Miss Hialeah Contest. Five of the finalists are pictured here, l to r: Yolanda Smith, Sue Morrill, Patricia Ward, Linda Lou Worley and Sharon Lee Snyder at the ivories. 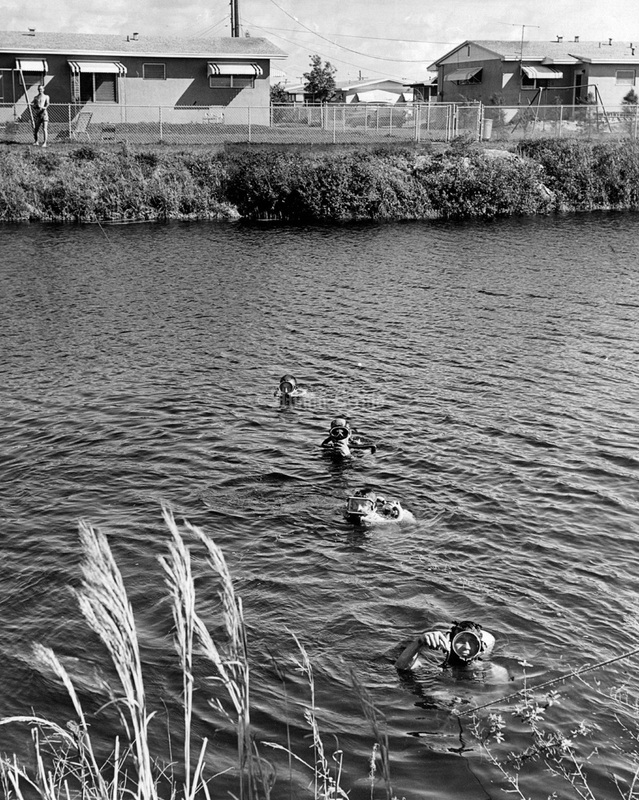 2/28/1962, Bill Kuenzel/Miami Herald: They're Searching -- for a car pushed into the canal. 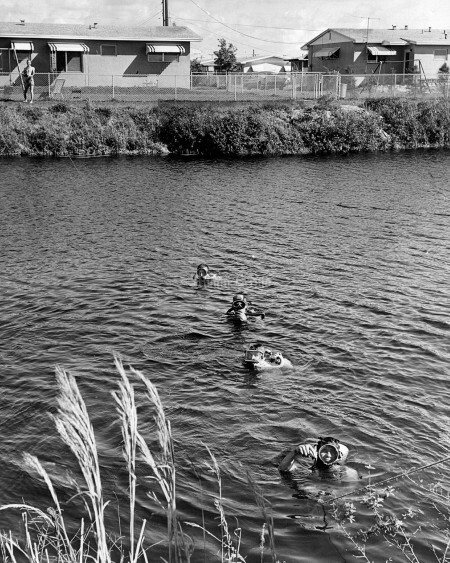 The skindivers are part of the Hialeah Fire Rescue Squad and the car they're searching for was pushed into the canal off West Eighth Ave. and 44th Pl. earlier to provide a target for the drill. 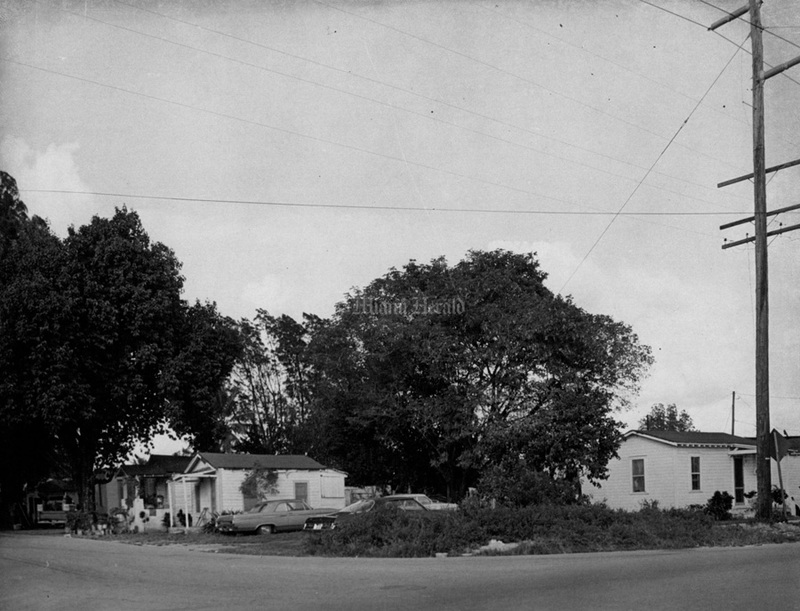 11/12/1957, Bob East/Miami Herald: 6800 Block E. 12 Ave Hialeah. 11/15/1961, Doug Kennedy/Miami Herald: Persons with names starting with "G-O" to report here.... precinct sign directs Hialeah votes to proper place. 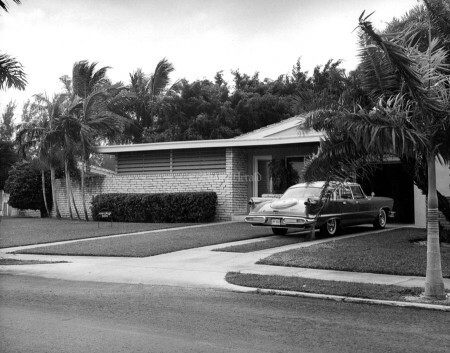 1961, John Pineda/Miami Herald: A 'First' in Safety. 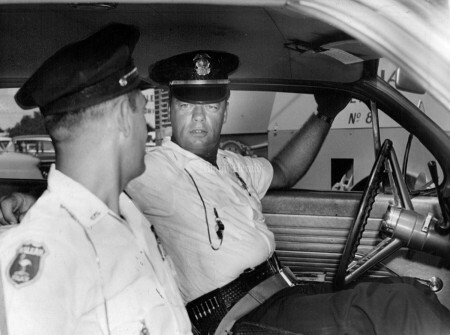 Firmly buckled down to their job Hialeah Police Officer William Connell, right, and John Herman demonstrate the safety belts recently installed in all patrol cars. 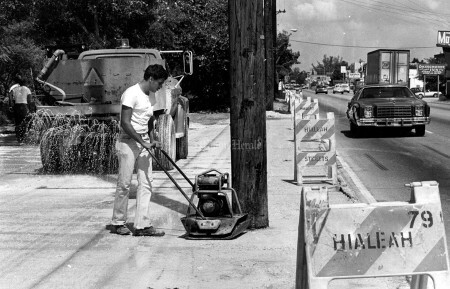 Hialeah is the first city in Dade County to utilize the belts.. 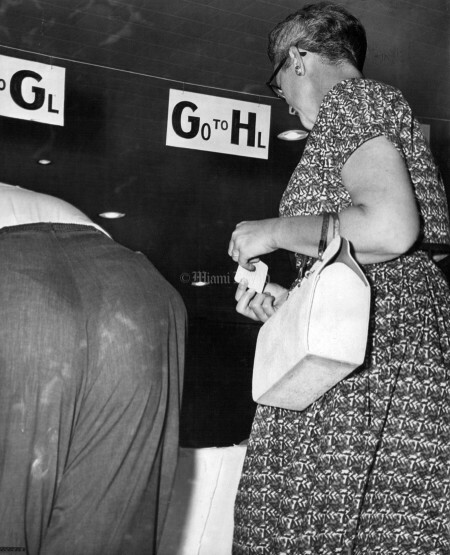 Initial reaction among the police officers has been enthusiastic. 1/25/1973, W.O. 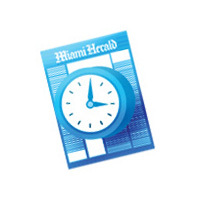 Minor Jr./Miami Herald: Hialeah City Hall tiles falling from mural. 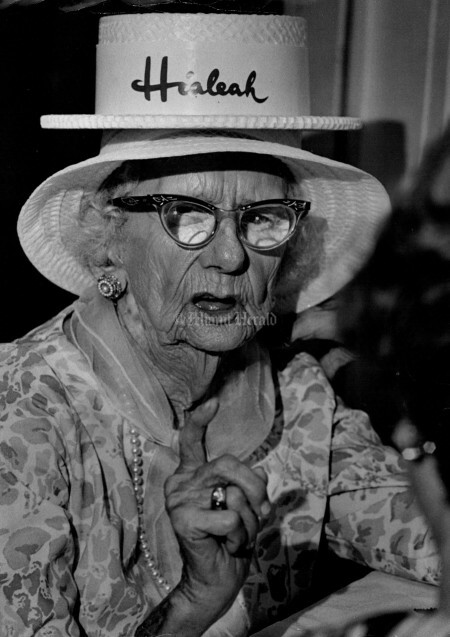 Property Mgr. 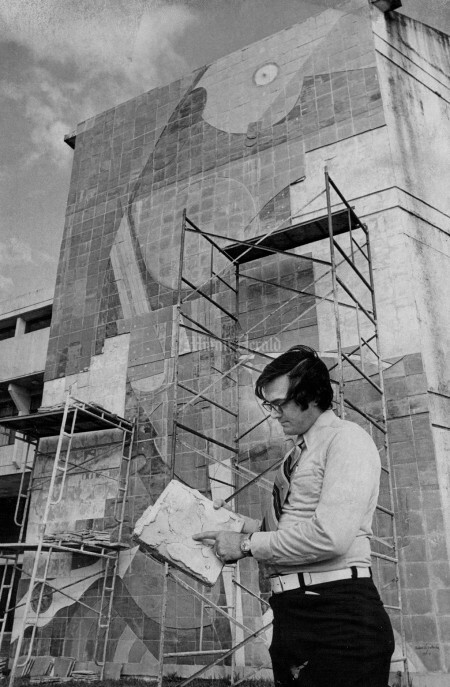 Hialeah Mr. Richard Burgin examines broken tile "Bad Cement". 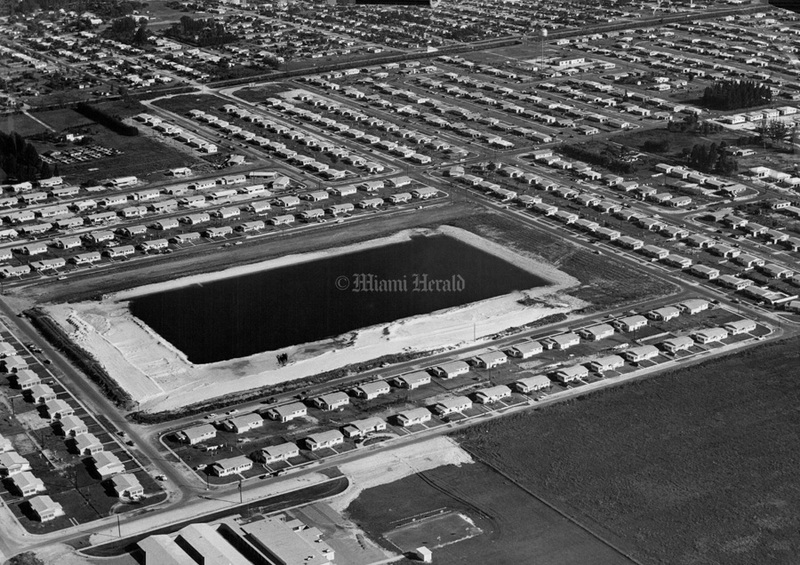 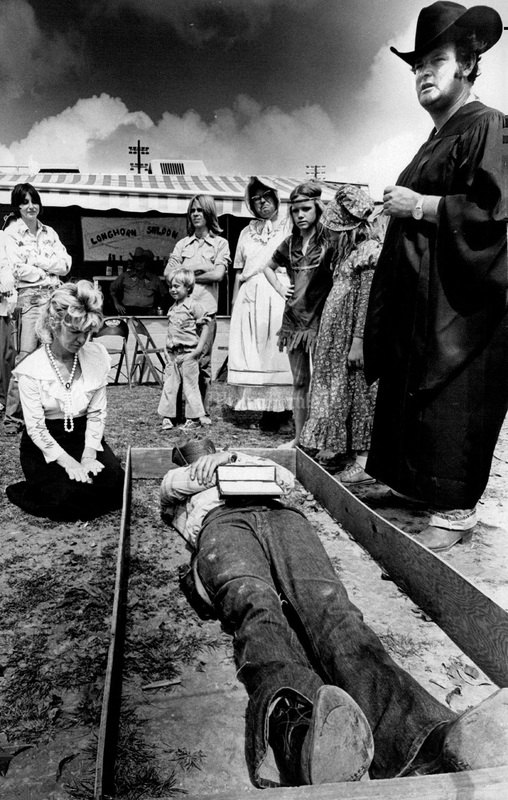 12/5/1972, Dave Didio/Miami Herald: Seminola, Southwest Hialeah neighborhood. 3/4/1974, Dave Didio/Miami Herald: Old Oil Drums and Litter along N.W. 23 St Hialeah, between 1 Ave and 2nd Ave.